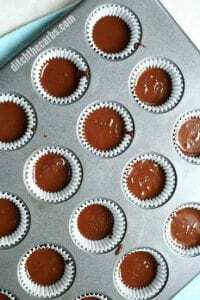 If you are a lover of salted chocolate treats, you’ll fall in love with my salted low-carb peanut butter cups for sure. Scroll below to watch the quick cooking video to see how these little puppies are made. Who else loves peanut butter cups but gave them up when they discovered each little one contained 11g sugar and 12g carbs? These little puppies only have 1.6g sugar and 2.8g net carbs. And the best bit? The salt gives them that extra va-va-va-voom! 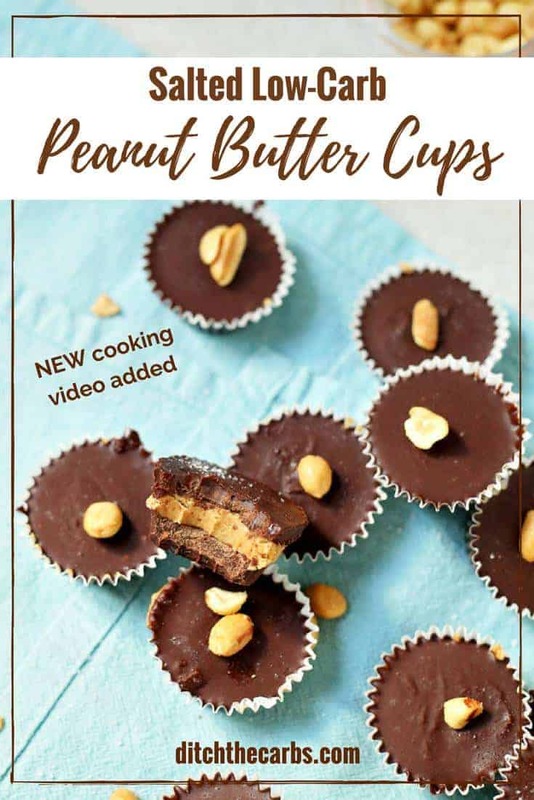 My easy salted peanut butter cups are only made with simple ingredients, that you may already have in your cupboard already. You can vary the chocolate you use (see recipe notes) and you can use your favourite nut butters too. You may omit adding the melted butter and sweetener to the chocolate layer and simply use 90% chocolate instead. However, after experimenting many times, I found by adding some butter, it allowed the chocolate layer to be a little softer than 90% chocolate so when you bite into it, the chocolate doesn’t snap and the peanut butter filling ooze out all over your hands. The added sweetener is optional, but it gives it that extra sweet kick so these taste incredibly kick regular peanut butter cups. Why not make these using almond butter or another favourite nut butter? The possibilities are endless. Melt the chocolate, sweetener and butter together. Mix. Pour half the mixture into lined mini muffin/cupcake cases. Place in the fridge to set. Mix the melted butter and peanut butter. Add the powdered sweetener and vanilla (you don't want this layer to be too hot when pouring as it will melt the chocolate below and the chocolate that is about to be poured from above). 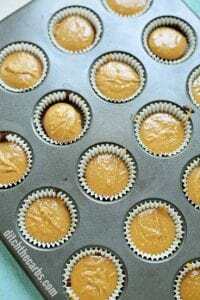 Place a spoon of the peanut butter mixture onto the chocolate lined cupcake cases. 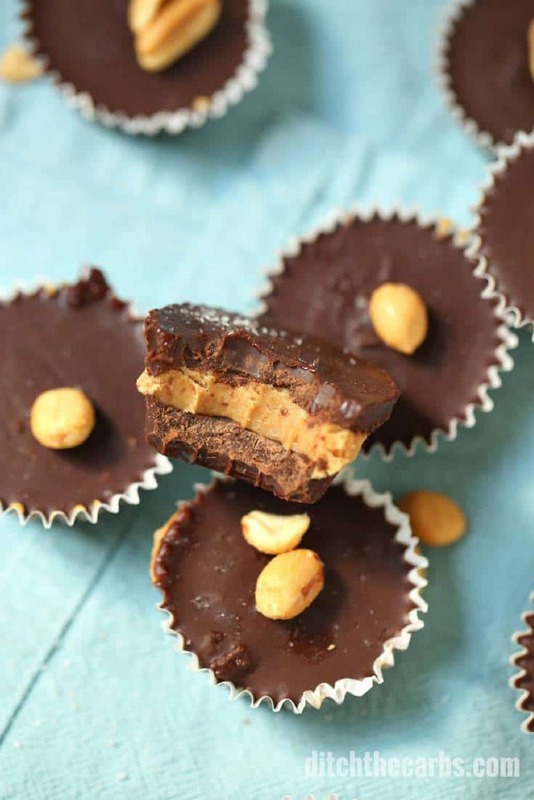 Top each peanut butter cup with the remaining chocolate layer. Place in the fridge to set then garnish with peanuts and salt. 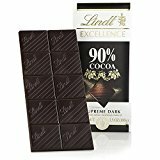 Chocolate - you may either use 90% chocolate or sugar free chocolate. The calculations in this recipe for the nutritional panel were made using Lindt 90%. Please check labels for sugar free chocolate. Many contain maltitol which can raise blood sugars as much as sugar. I made this recipe yesterday. I stretched it out and made 16. The recipe was quick and easy to make. My problem now is stopping at just 1..
Hey Libby. I was wanting to make this over the weekend however I’m just wondering… doesn’t the chocolate you used have sugar in it? Refind sugars? I use cacao nibs for most things. I find that cacao buttons don’t melt like chocolate so I have avoided all recipes with chocolate. Is this participle ok to have on a keto diet? It’s up to you which chocolate you wish to use. In the recipe notes above I mention “Chocolate – you may either use 90% chocolate or sugar-free chocolate. The calculations in this recipe for the nutritional panel were made using Lindt 90%. Please check labels for sugar-free chocolate. Many contain maltitol which can raise blood sugars as much as sugar”. 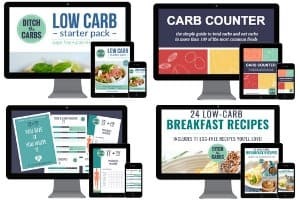 I love recipes with peanuts in them like these, but I try to be as compliant as possible and there are always people saying that because peanuts are technically legumes and not nuts, that means they are inflammatory and non compliant, even though there a multitude of lchf recipes that use them. As a result I’ve been very restrictive with them (had them only 3 times this year), but I would love to hear your take on what you think about their compliancy? Great question. You are correct. Peanuts are non-compliant if you are 100% strict. 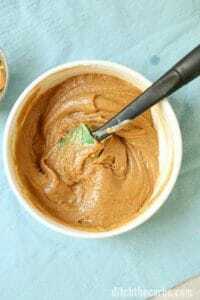 I rarely use peanut butter in any of my recipes, in fact, I think this is the only one in over 250 recipes. 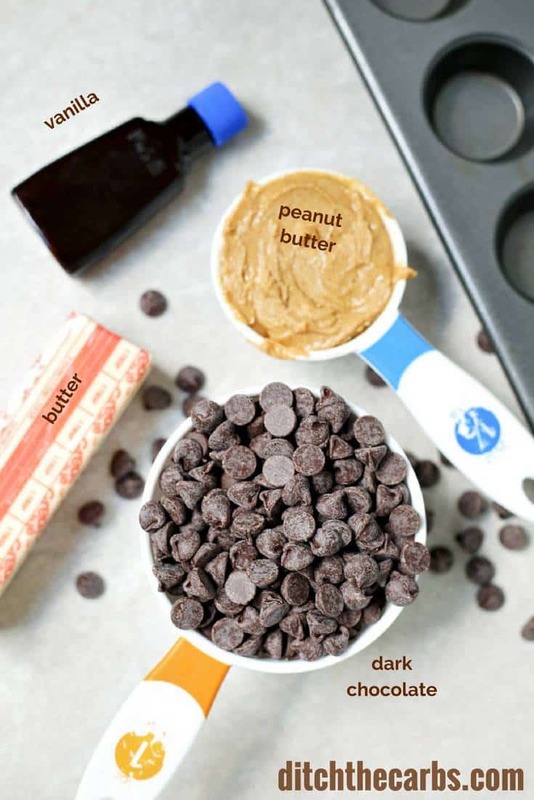 You can easily swap the peanut butter for almond butter, but this was a recipe I had been wanting to develop for so long for my 10 yr old who loves peanut butter. He still eats it, but in limited quantities. As with everything LCHF, it’s about sustainability – by allowing my children the odd concession, means this way of life is sustainable for the long term. Do what works for you, what fits within your daily allowance and if it curbs or triggers your cravings. Everyone is so different. What a super fabulous tip – thank you. Sometimes that can happen with granulated sweeteners. They don’t dissolve very easily. Try to use powdered sweetener, or you can make the granulated sweetener finer by grinding it in a food processor, coffee grinder or a mortar and pestle. Yes. I pretty much use salted butter in everything. But as always, use what you prefer and you could always add salt to your liking during the recipe. Can’t wait to try these. 4 months on LCHF but I always “want” a dessert. Thanks for sharing. I live in Wales and I’m used to enjoying Ovaltine in the evenings. Now I’m trying low carb, does Ovaltine fit in? Diolch/thank you. I wouldn’t think so. Take a look at the nutrition panel and I’m guessing Ovaltine will be heavy in sugar, and if you are making it with milk, there will be the milks sugars in there too. I understand your love of Ovaltine, so why not try to cut back how much you add at the beginning, make the serving cup smaller, and with added cream. You will feel full so quickly, you may not even be able to finish the cup. Eventually you may find yourself having a tiny espresso size cup of it then possibly cut it out altogether if that is your aim, or just enjoying a “taster”.